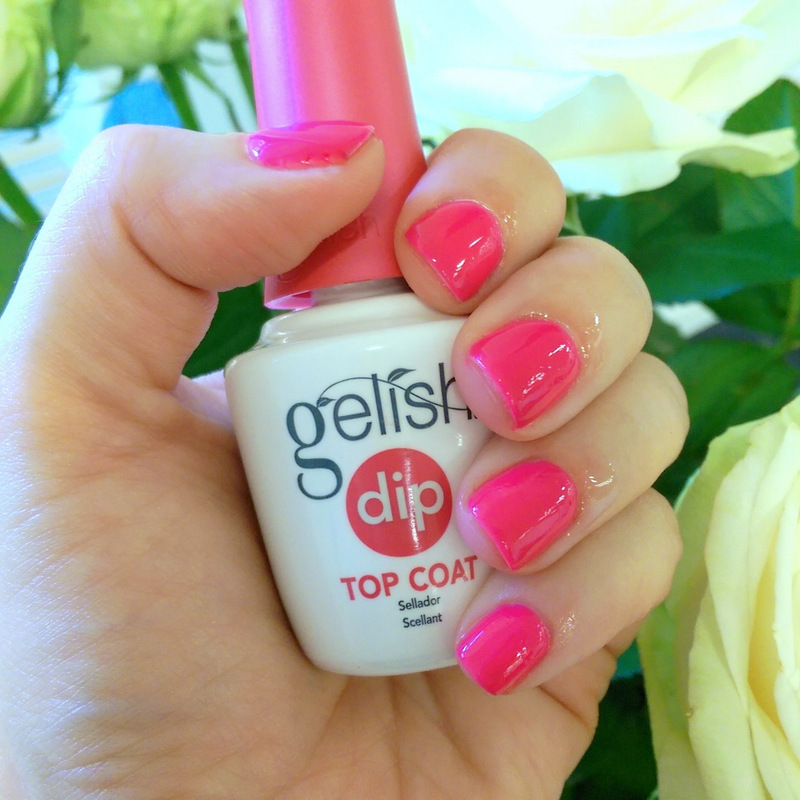 So, there’s a new kind of mani coming to town and that’s Gelish Dip! While it sits under the Gelish umbrella, it’s actually quite different to Gelish and kind of straddles the gap between gel and acrylic. The big pros are that it’s longer wearing than gel, doesn’t require a UV light to cure and the application is lightning fast. Gelish Dip! A new way to do your nails. So, how does it work? This little video clip on my Insta will give you an idea. Can’t watch the video? Then let me explain. The first step is to apply a prep coat followed by a base coat. 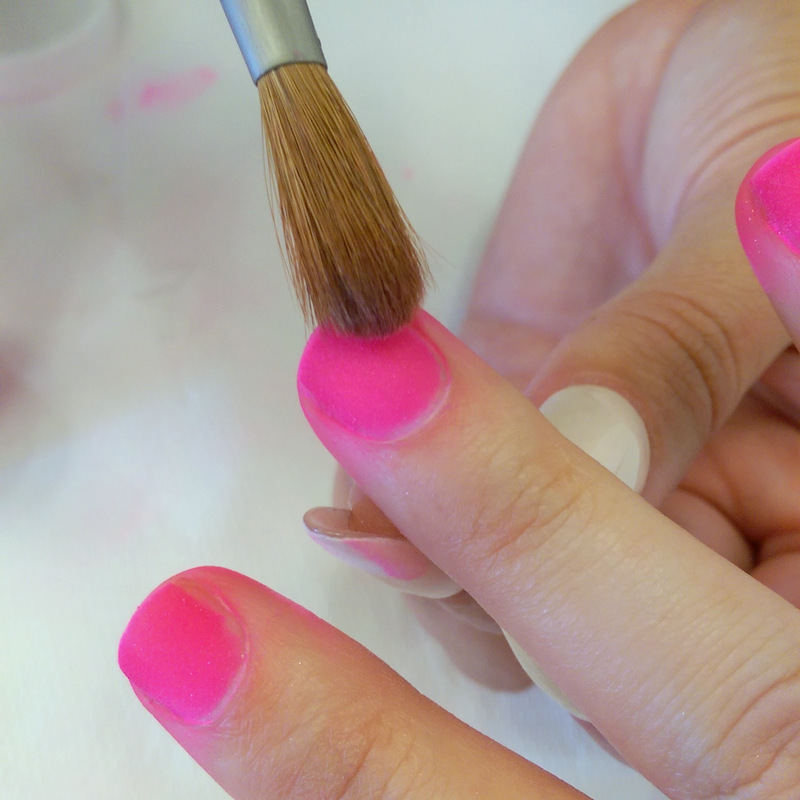 You then dip your nails into a coloured powder and dust off the excess before applying another base coat and another dip. Your mani is now almost done. To set it, you don’t have to sit under a light. Instead you apply a slick of activator and a third round of base coat. It then takes just three minutes for the nail to set – with no light and not the slightest whiff of that chemical smell you get from acrylics. The activator is like a thin, clear fluid that looks like water. It’ll turn your nails matte but don’t stress. The shine comes later. Once you’re all set you can file away any lumps and bumps, so you don’t have to worry about an uneven look. The odds of you getting a ‘precise’ mani are certainly better with a dip as opposed to a paint which is great if you end up with a therapist who isn’t especially exacting. (We’ve all been there!) To finish, you apply a coat of activator followed by a glossy top coat. Again this dries in a few minutes and BOOM, you’re all done! Just a word about my piccies – it was a little dim and fluorescent in the mani room so my shot quality isn’t at its best and WordPress totally degrades my piccies even further so please know that Paparazzi Pose is actually a helluva lot more neon than it appears. So! What’s the verdict? While I haven’t worn acrylics before, I can compare it to Gelish and find that it’s ever so slightly thicker than gel and definitely does feel harder. Within a few hours of having it done my nails felt a bit sore – almost like the colour was shrinking and squeezing my nail – and it made me think of that sensation you get the day your ortho tightens your braces but this vanished the next day. It’s now been five days and my nails still look as good as they do the day they were applied. 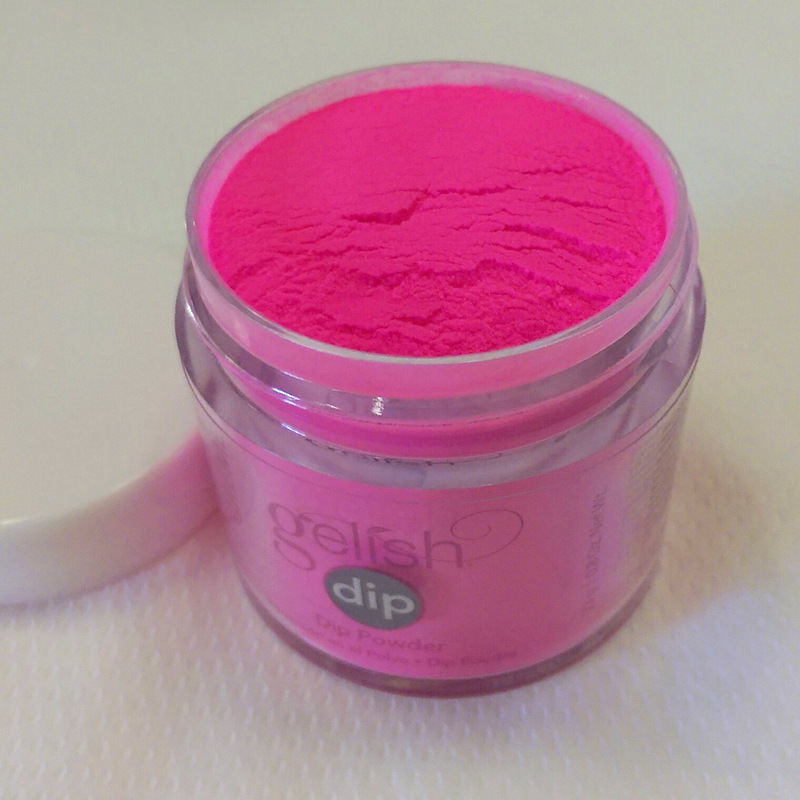 Am I going to switch from Gelish to the dip? Well, on days when I’m in a rush then I’ll definitely opt for a dip. No question! Also, if I wanted a French mani then the dip would be my first choice hands down thanks to the precision factor and speed. However, as I’m perfectly happy with the wear I get from regular gel (the light curing doesn’t bother me and lack of odour isn’t a draw as I don’t do acrylics) I’m not leaving that in the dirt anytime soon. But yay for options, right?! Also, I think women who are currently big acrylic fans are going to be delighted by this newbie to the nail scene. If you’re keen to take a dip yourself know that it’s going to trickle into salons as of next month (March). I don’t have exact costing just yet and this will vary from salon to salon but its going to be a little more expensive than a Gelish mani but nothing crazy town. P.S. Oh! Wondering how you take it off? The same way you would a Gelish mani – with a soak off. The only difference is that you’d need an extra five minutes. I have used this – most amazing colour and strength. However, taking it off is a really long process which I think damages nails. Maybe a better alternative would be to just remove the top layer and then reapply the new colour. This is really not new at all. Acrylic dipping systems have existed for years. You can even do this right now with Harmony’s ProHesion products. Harmony have just found a new way to make money by hopping on the bandwagon of this “new” trend. just want to find out if you have pricess for me on the gelish dip all thats needed to use on the nails please. Hi Chantel! I wasn’t given a price at the launch as it’ll vary from salon to salon. I was told its more expensive than Gelish but not as pricy as acrylic. Maybe give the importer, Sparkle cosmetics, a ring to find a salon near you to get a price from. Sparkle’s number is (011) 447 0659.